Swarovski’s Kristallwelten is the Disney World of Swarovski crystals! 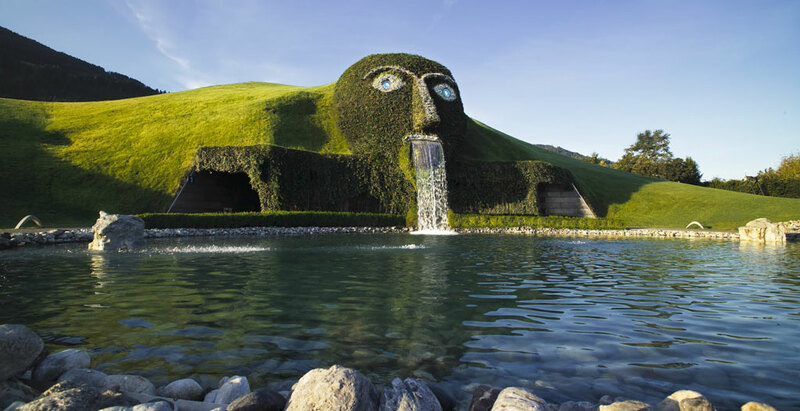 For any sparkle and crystal lover, the fascinating Kristallwelten (also known as Crystal Worlds) museum is worth the trip to Swarovski’s headquarters in Wattens, Austria. Crystal World houses 16 Chambers of Wonder, where world-wide recognized artists, designers, and architects interpret crystal in their own unique way, creating concepts of the exceptional space and a mind-blowing experience from the sparkling materials. Some of the Chambers of Wonder include Silent Light (a fairytale landscape with floating crystalline snowflakes), Eden (a mysterious forest of crystalline figures), the Ice Passage (an icy corridor where your footprints create a crystalline track along your path), and the Crystal Dome (a mirrored experience that allows you to feel as if YOU were INSIDE a crystal)! 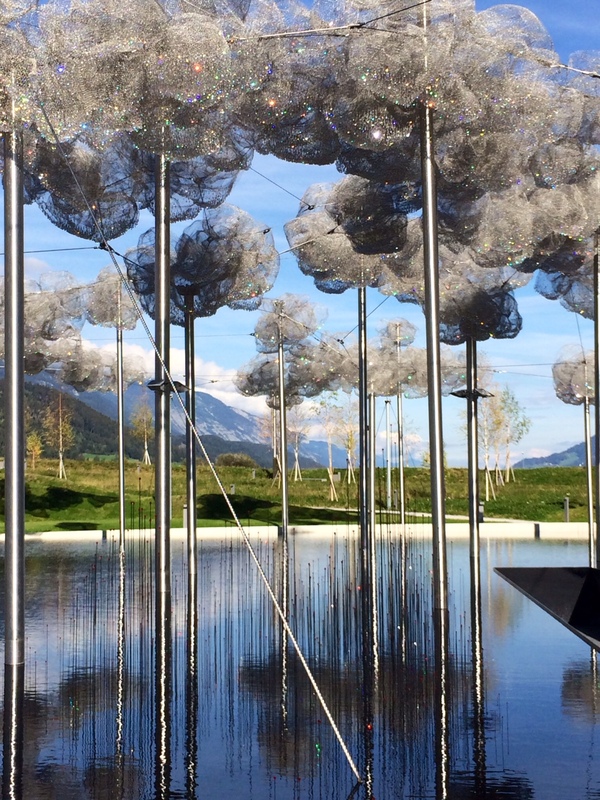 In May of 2015, to celebrate Swarovski’s 120th Anniversary, Kristallwelten replaced a few of their previous exhibits and also expanded to include an open space of crystalline nature. Coined The Garden, the spectacular outdoor exhibit featuring both modern art and ancient history. Along a path, the Crystal World visitor will find themselves among the most impressive centerpiece of the Garden, the Crystal Cloud. 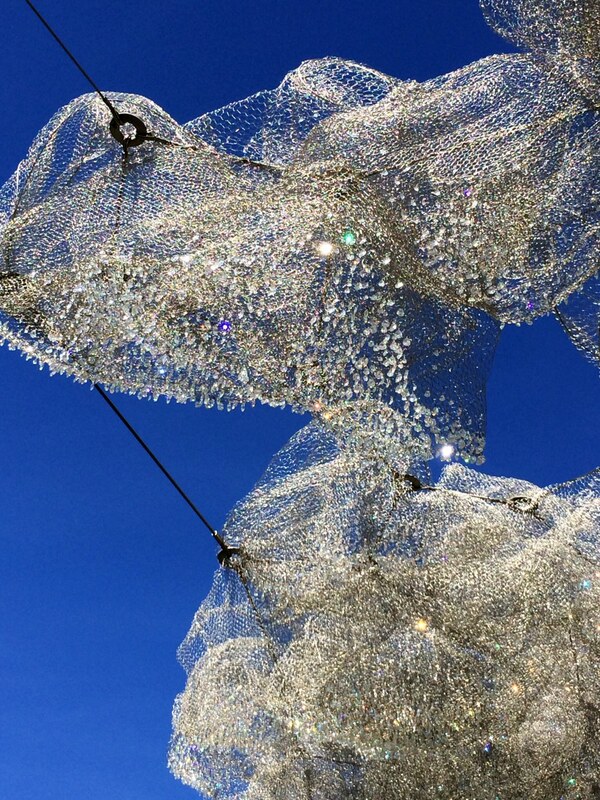 Designed by Andy Cao and Xavier Perro, the Crystal Cloud is an installation that consists of more than 800,000 hand mounted Swarovski crystals. The clouds seem to float above the black Mirror Pool, which reflects the light of the crystals like stars in the night; and completely glistens in the sunlight (watch the video below)! The Mirror Pool and the Crystal Cloud have a surface of 1,400 square meters, making this the largest masterpiece of its kind. When they were excavating for this new addition, they made an amazing find: Roman ruins and untouched Roman coins which are also on display! Kristallwelten just might be the best place on earth, but it’s certainly the most sparkly! Whether it’s the beautiful views of the Austrian Alps or the breath-taking exhibits, you are in for a magical experience. And what museum is complete without a gift shop? It has recently been expanded and exceeds expectations.